and sea glass from the Mediterranean*. to add a bit of summer to a corner that needs brightening, or even the table. Recently I created an extraordinary tablescape with my vintage Mason jars and book pages. That got me thinking that most of you didn’t see this post of decorating Mason jars with burlap that I wrote late last summer. If you’re looking for a splash of coastal color in your decor, you’ll enjoy a few of these ideas. 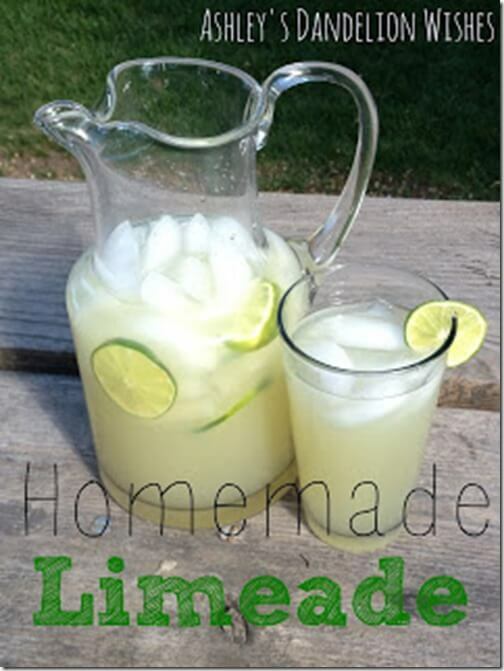 Be sure to check it out and get started decorating Mason jars for summer. Decorating Mason jars for summer. 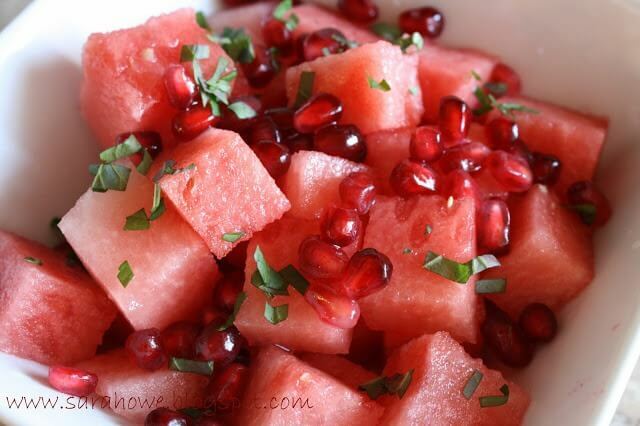 What could be more simple yet extraordinary?! *One summer a few years ago, I spent a month doing an archaeological dig on the Mediterranean Sea. Let’s call it a trip of a lifetime. Here’s the deal, we decided it would be FUN to add a 6th rotating hostess to the Monday Funday crew! That’s 6x the exposure! So, ONE crafty link party extravaganza will happen on SIX blogs. Plus, each week one of us will choose projects to feature on all six blogs.We will also be sharing links throughout the week on Facebook, Twitter, and Pinterest. 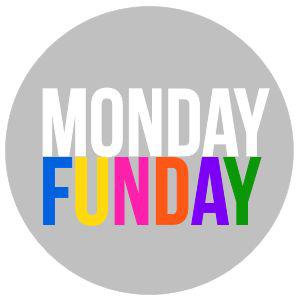 You can follow the Monday Funday party tweets at#MondayFundayParty ! Now let’s get to the features! You all never cease to amaze me (and make picking features really hard!) You all are awesome! Thank you for joining us each week! 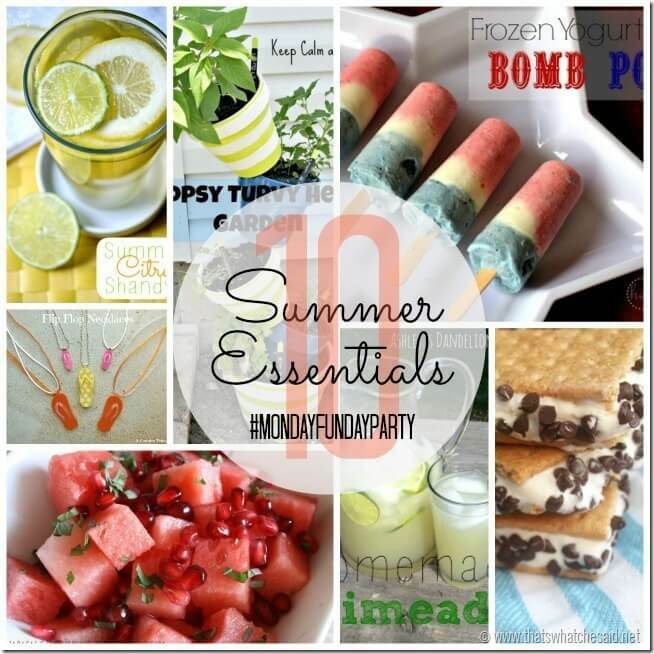 I have chosen 10 Essentials for Summer Features! Cool down with Ashley’s Homemade Limeade! I can practically taste this through her photo!! 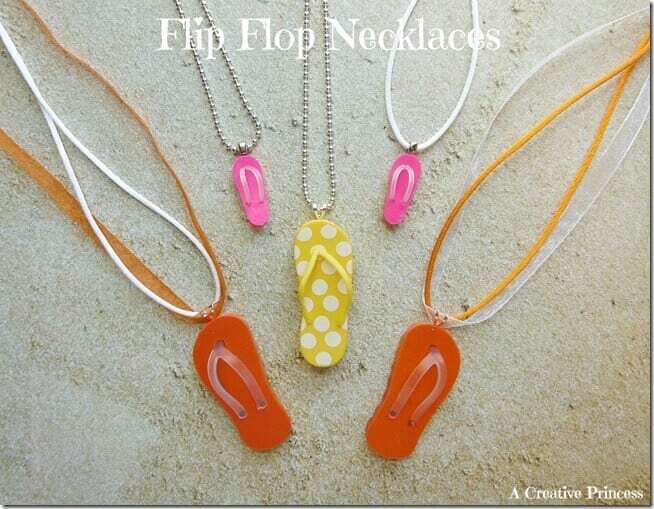 How cute are these Flip Flop Necklaces that Terri made?!? Would you ever believe they were ERASERS in another life? 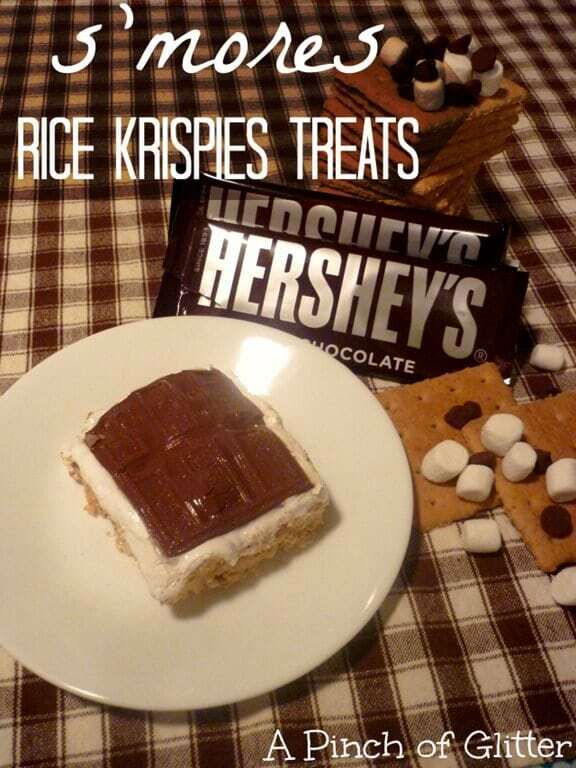 How about S’More Rice Krispie Treats? You always need s’more, S’Mores, right? How about this awesome summer tip from Becca…How to make ripped Jeans into shorts! 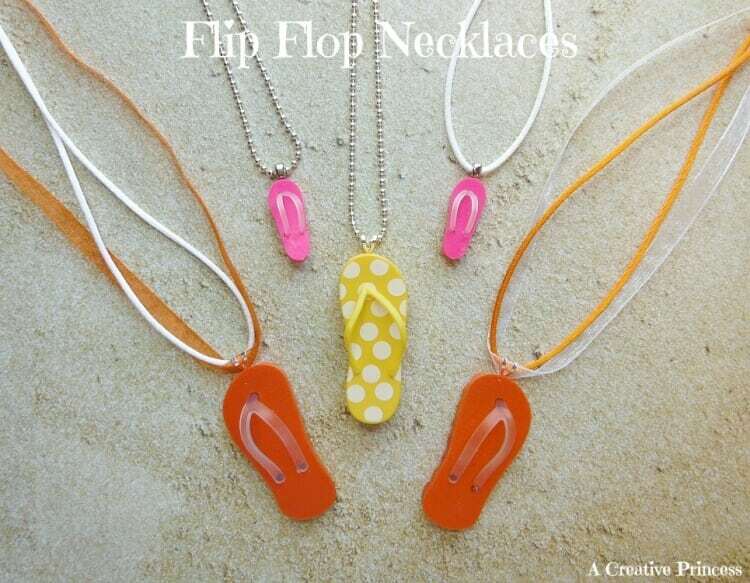 I have a few pairs that could use this! I also adore this Topsy Turvey Herb Garden from Melissa! 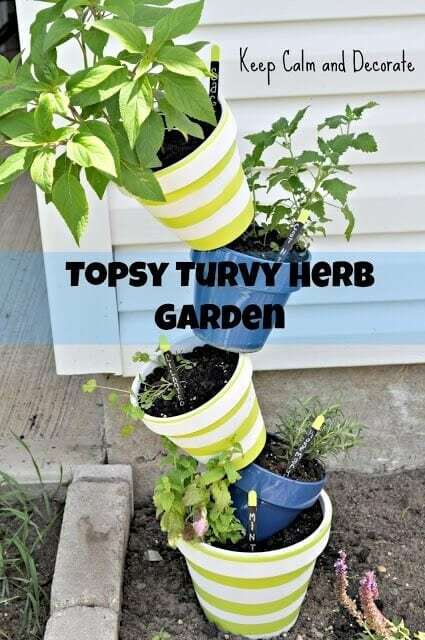 I have seen these with flowers but I LOVE that she used it for Herbs! Cathy might be my soul mate! 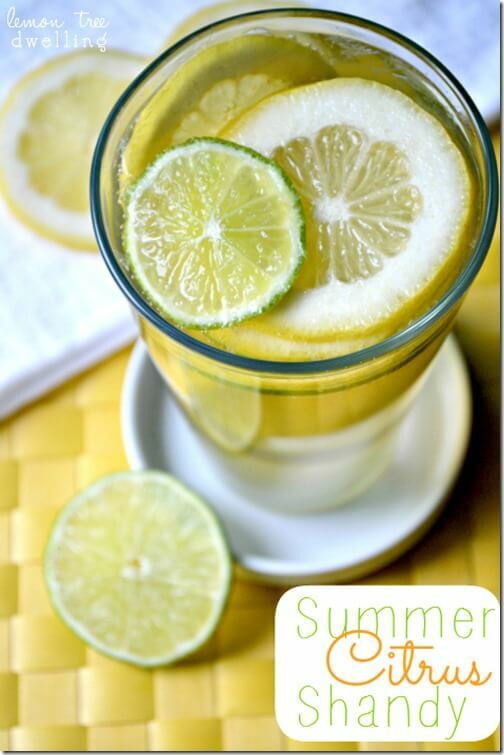 She shared a fabulous Summer Citrus Shandy Recipe that will be made by me TODAY! 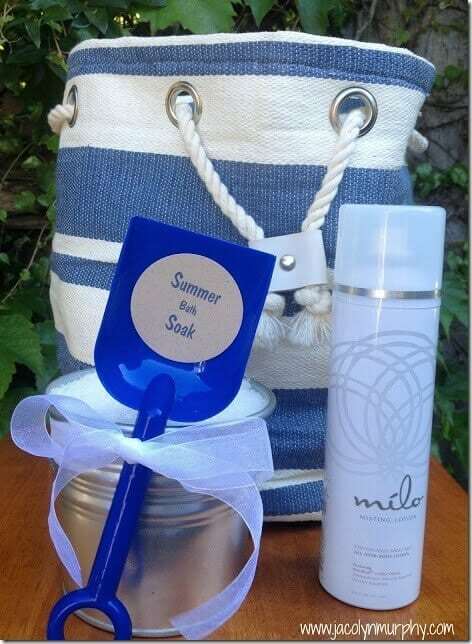 And last but certainly not least, this awesome Summer Hostess Gift Idea from Alexis! Who would not love to receive this after coordinating a summer get together? You can find us on Facebook as well! We like to share the awesomeness that is linked up there too! 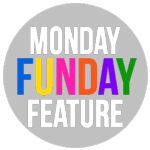 By linking up to to Monday Funday you are giving the 6 blogs, listed above, the right to feature one of your photos on all of our SM outlets and blogs. 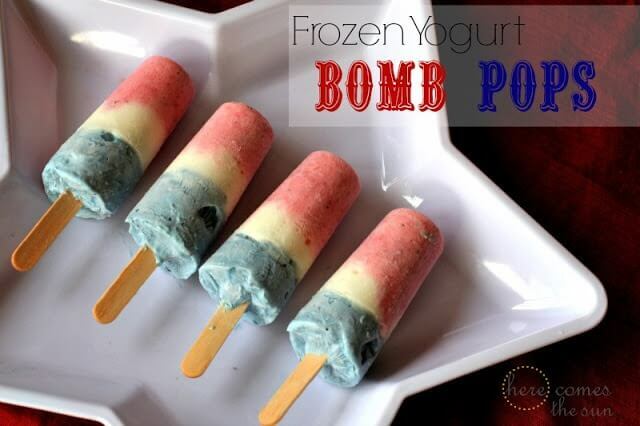 That is a lot of great summer food! Thank you for hosting! Thank YOU, Sherry, for joining in the FUN! Thanks for hosting an inspiring party each week! So fun! Awwwww…Kim, thank you for saying that. I’ve only got one more week of being a guest host. 🙁 It’s been a fun ride. I love your red dresser. As I said a few days ago…it rocks with the surprise drawers. I love blue mason jars, paired up with the white burlap they look awesome! Thanks for hosting, Diana! What a lovely compliment!! Thank you Cristina!! Those jars are awesome!! I just sent on the sister solar lids that she put on some mason jars that she filled with cool stuff. 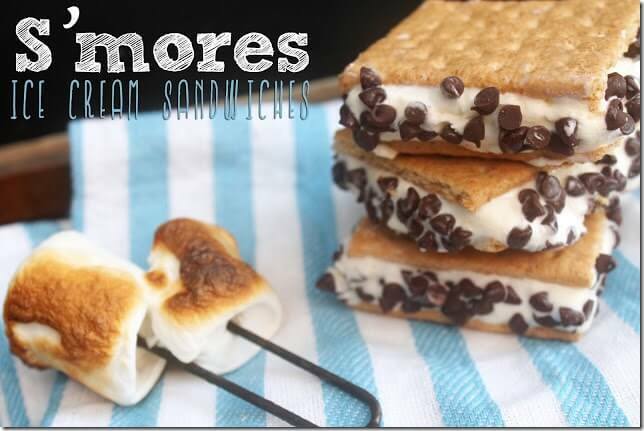 I might have snag some of those for myself ! And sadly, I missed some great stuff by NOT investigating the links this past weekend. The good news is the links are still ther…and NOW there are more. Don’tcha hate when life interferes with your plans?! LOL. The stuff of life….and work. Haha! Here’s to wishing you a day with moments, just for you! Love the burlap embellishments on the mason jars. So cute! thank you for sharing at TTF! Thanks for you kind words and for hosting such a fun party, Diann! Hi Diane! Your jar embellishments are charming! 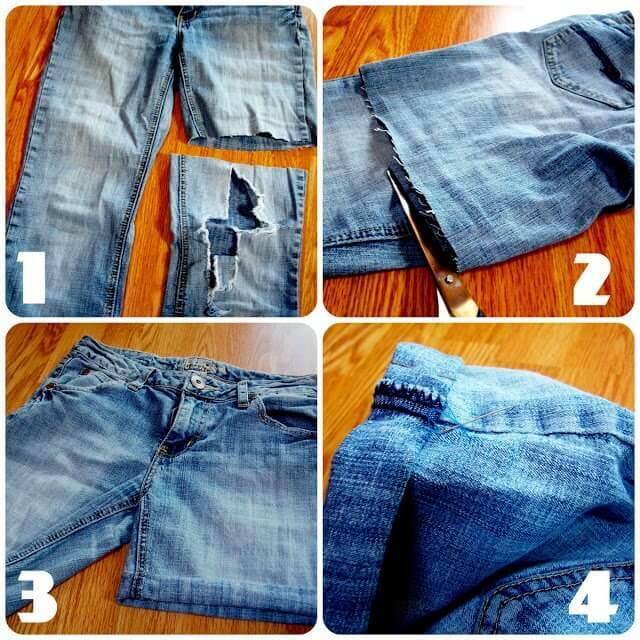 Just love easy, fun projects!! Thank you soooo much Becky. I am always in awe of what you do and consider this the nicest compliment. Love your decorated mason jars. Simple and yet so sweet. The embellished mason jars are adorable! That is the nicest thing to say, Tara!! I was so pleased with the end result and I hoped others would like them too. Thank you! !